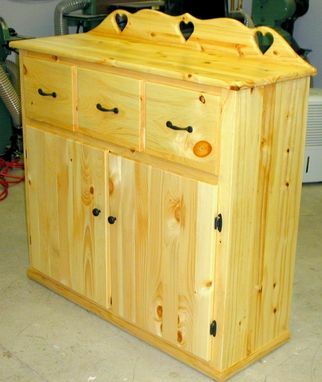 Made from solid knotty pine, this country style storage cabinet met all requirements from a discerning customer. 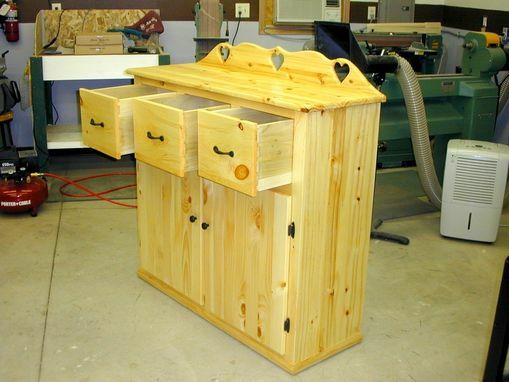 Designed after a piece that the customer saw in a second-hand shop, The Plane Edge and the customer arrived at an acceptable version of that second-hand piece. Even the heart motif on the upper back panel was included in the finished design and it complements the cabinet beautifully. 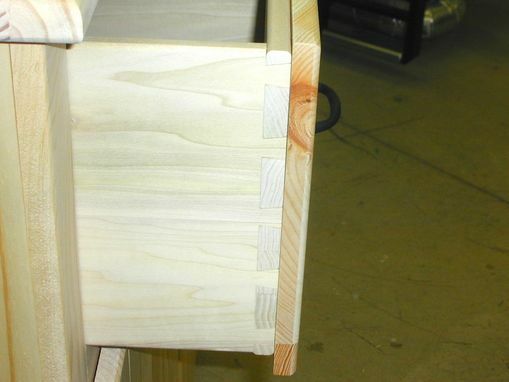 Dovetail joinery was used on drawers which were made from poplar. Both large doors were grooved to simulate paneled doors, while dark, country style drawer knobs, door pulls, and hinges added the final touch. 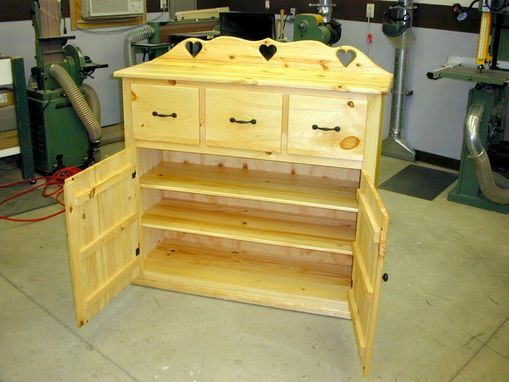 The country style storage cabinet was finished with two (2) coats of a satin polyurethane. Dimensions: Approximately 18" deep x 36" wide x 54" tall.